Terrifyingly exhaustive. 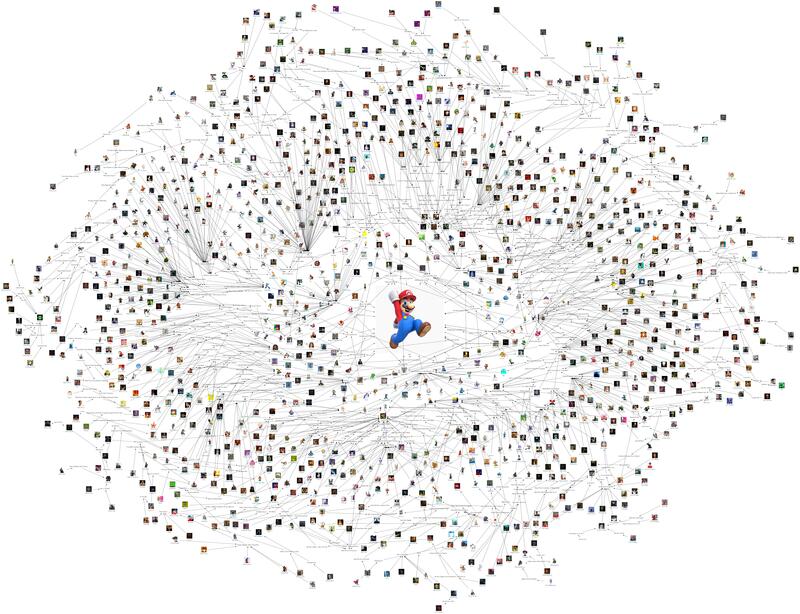 This is Six Degrees Of Mario. A flow chart so detailed I'm scared to expand it. This is a black hole. It swallows all time and light. Do yourself a favour. Click on this link. The image above doesn't do this justice. It shows you the scale of this project, but the detail. Man, it's intense. This was created by Reddit user 1wd. It's amazing. I'm gonna lose hours in this thing. Look up the Six Degrees of Kevin Bacon meme, its based on that. Basically, all the characters in that picture link to Mario one way or another, through linking via other characters. The idea is that Mario has appeared in so many games, that he is relatively connected to a massive amount of other game characters, from Gordon Freeman to LeBron James. This taught me that the Rathian was in MvC. Huh.